The Series 3860T high pressure regulators are designed to safely reduce inlet pressures from cylinders filled with gases to 6000 psig. 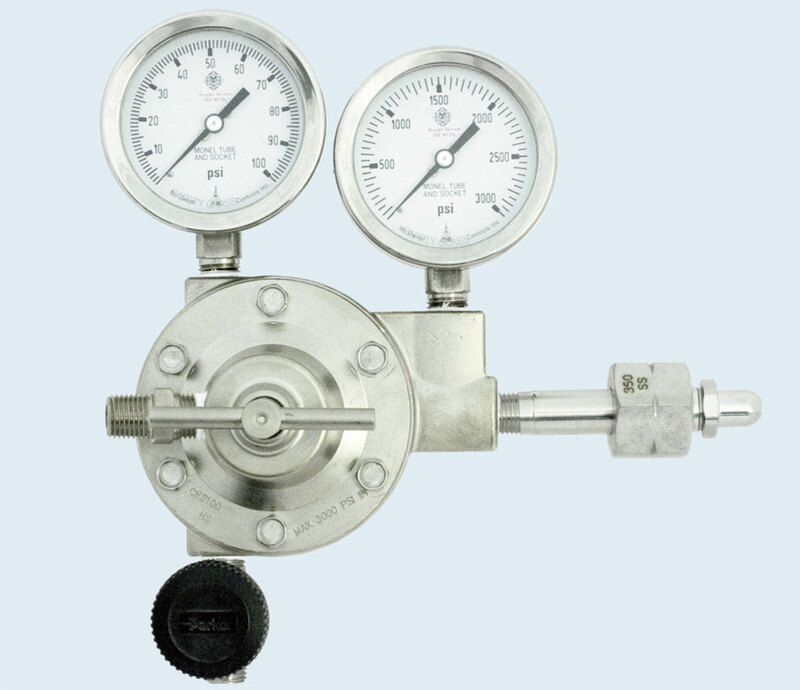 The self-venting feature of the regulator allows the operator to reduce the pressure setting in a closed system by venting the downstream pressure through the regulator. Full 6000 psig delivery pressure capability. Self-venting design for ease of pressure adjustment. Unbalanced stem assures positive shut-off. Removable valve assembly module permits ease of repairs. Large adjusting knob provides fast low-torque pressure settings. Operating Temp. Range: -40° to +165°F. Add prefix “NV” to model number if self-venting feature is not desired (i.e. NV3860TB-6000-677). Self-venting feature is not recommended with flammable or toxic gases. 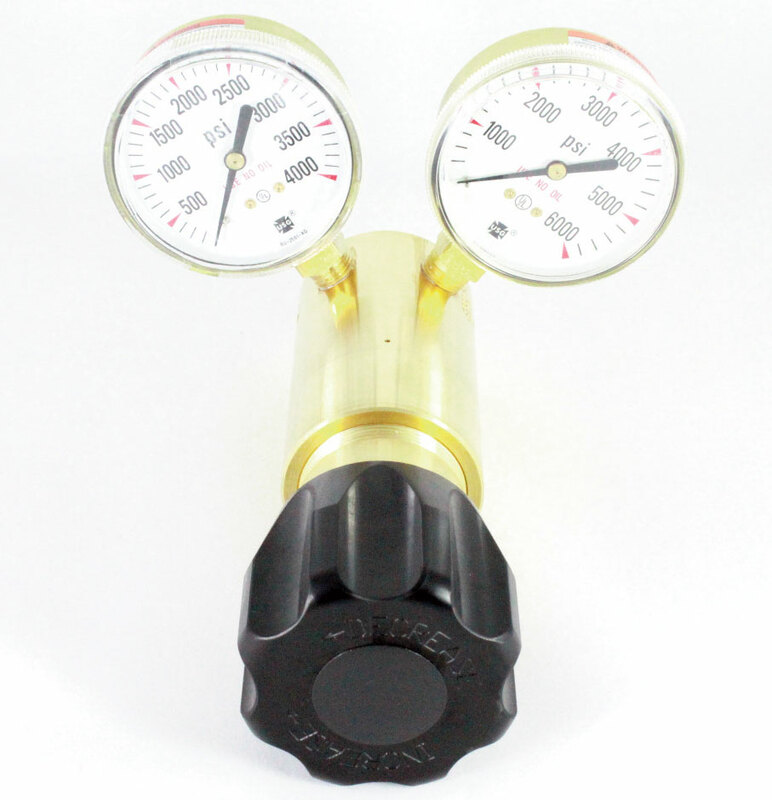 **Regulators fitted with a CGA connection rated for 3000 psig will have a 0-4000 psig brass, or 0-3000 psig SS inlet pressure gauge.